Most 7 year old are playing soccer, baseball or cheer-leading. Every Tuesday at 6pm I take The Phi to her "practice" of sorts. I take her to her Yoga class. Yup our 7 year old does yoga. And she loves it, and she is really good at it. It all started when I was pregnant with Lou, I did pre-natal yoga at home and The Phi started to join me. She really liked it. So I started looking for a kids yoga class for her. 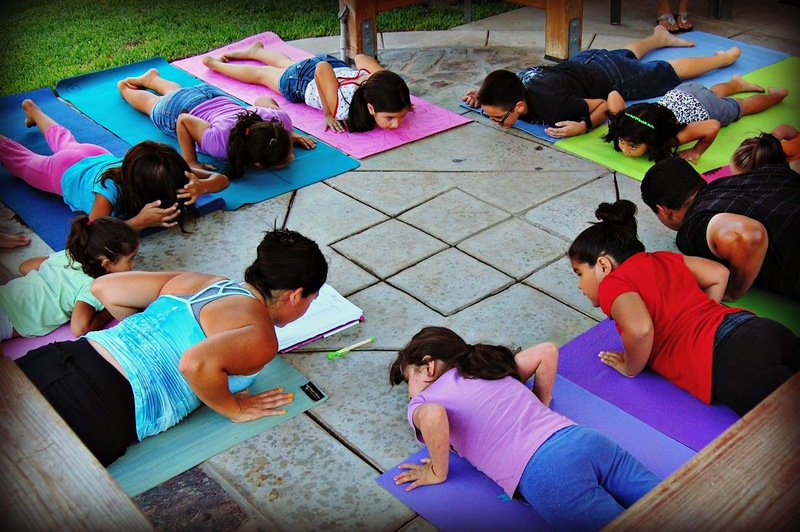 To my surprise I found that our little town had a kids yoga class! So I signed Phi up and she has been taking classes with Loulu, her yoga teacher, ever since. Loulu is an amazingly patient and caring teacher. When my Lulu is in class roaming around Yogi Loulu will put out a baby yoga mat for her and my Lulu knows a few poses now. We are really lucky to be in Loulu's class. 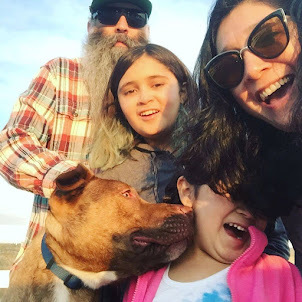 I asked Loulu the Yogi a few questions about kids and yoga and all the benefits. How did you get started doing yoga? I was introduced to yoga in 2001 when I was in college. 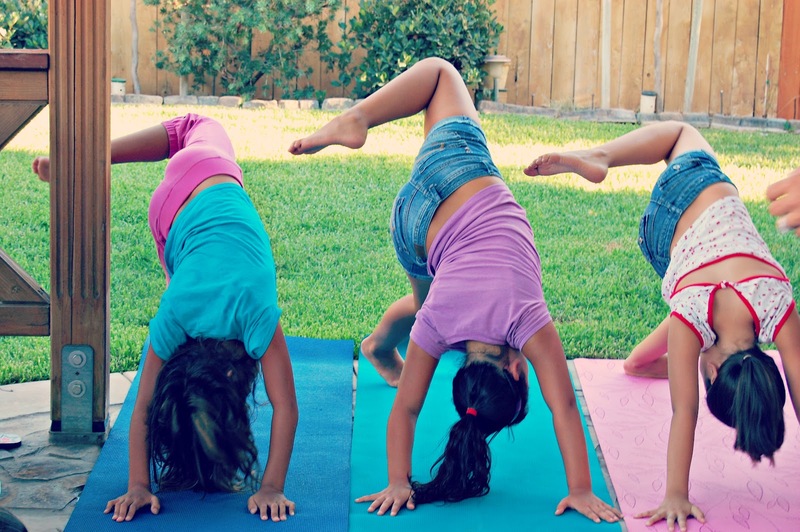 What are some of the physical health benefits for kids doing yoga? There are many reasons why children should exercise but here are three reasons why I believe it's important: 1. Weight control. 2. Physical fitness. 3. Establishing a healthy routine of being active. 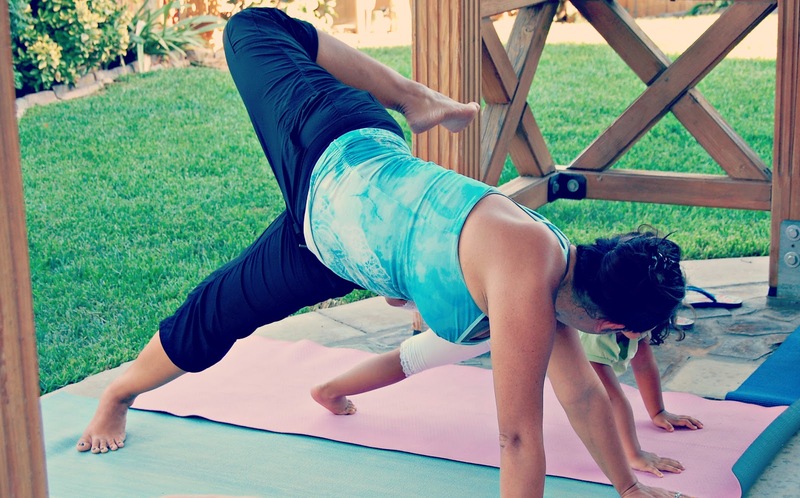 What is a good age to start yoga? I believe any age is a good age as long as a doctor approves that the child has the physical health to perform the exercises. Babies have great flexibility and if we as parents tap into this ability, they will continue to grow and be able to move their bodies into several shapes. This will translate into building muscle strength which serves as the foundation for a healthy young body. Teaching kids yoga must be so different than teaching adults. What is the main focus when teaching children? Teaching kids is a little different than teaching adults because children have powerful imaginations. This can often help provide better results than adults. Children believe anything is possible and they don't focus as much on the negative. This allows them to explore themselves, which adults often think twice about doing. Children naturally enjoy to practice some of these poses because they like to challenge themselves and be creative on their own. I would have to say the main focus here is simply to have fun and enjoy the experience. Some of the yoga poses your class does are pretty tough, how advanced can children's yoga be? Some of the poses are a little challenging, however we always take careful precaution in what we do. We teach our kids how to listen to their bodies first. They are instructed to go just slightly out of their comfort zone, and when they wish to challenge themselves further, seek the assistance of an instructor. Yoga can be very fun, however just like any other sport, you need to take the necessary precautions to avoid injury. Beside the obvious physical benefits of yoga, what are some other benefits to yoga? Yoga provides a great environment for children to exercise, relieve stress, and focus. 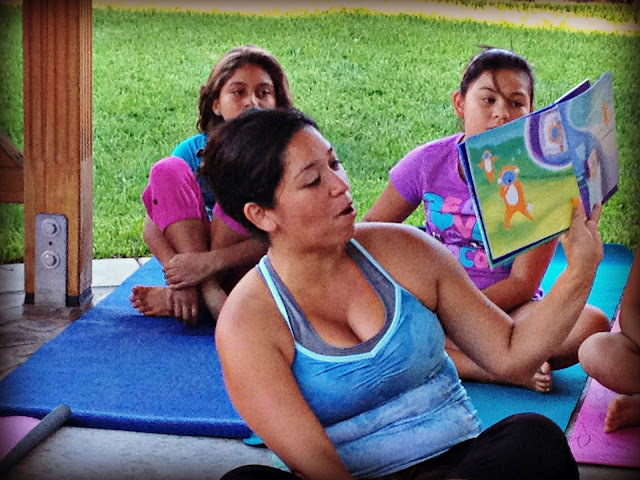 It teaches them self-control and provides them a safe place to try new things and feel positive about themselves. When practicing yoga you expose your children to a positive atmosphere because we touch on all the reasons why they are great human beings! They are told they are important and that their opinions matter. We reinforce the positive attributes about our students and in doing so we raise their self-assurance. We want to teach them that everything is possible. -Thanks for your awesomenes Loulu! We really love your class and appreciate you and all you do for your students! Loved this post. Yeah for The Phi!!!!! ...and, Lou! Jackie should look into yoga for Taylor Emma AND Liam. Both kids are active w/their own activities and not sure how Jackie or kids could take on one more thing... The benefits of yoga are tremendous. She is loving, caring, n a wonderful wife n mother. She loves kids n enjoys what she does.